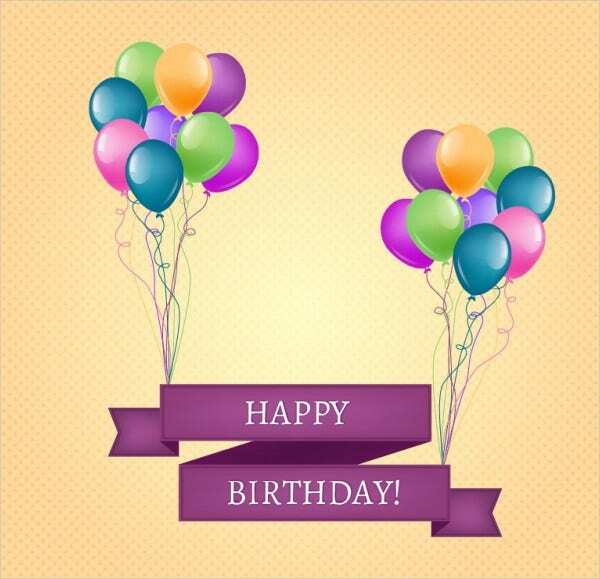 Birthdays are memorable occasions that come across in everyone’s lives each year. 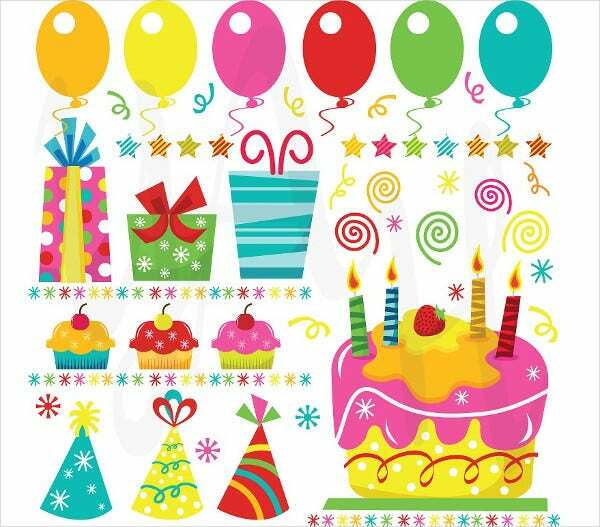 Birthday celebrations are always joyous and fun filled. 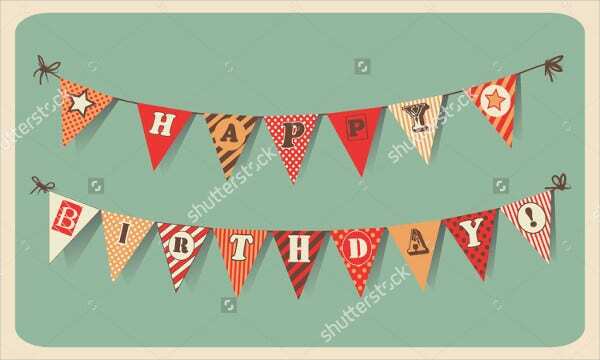 Party banners are a great way to promote your birthday party to your friends and folks. 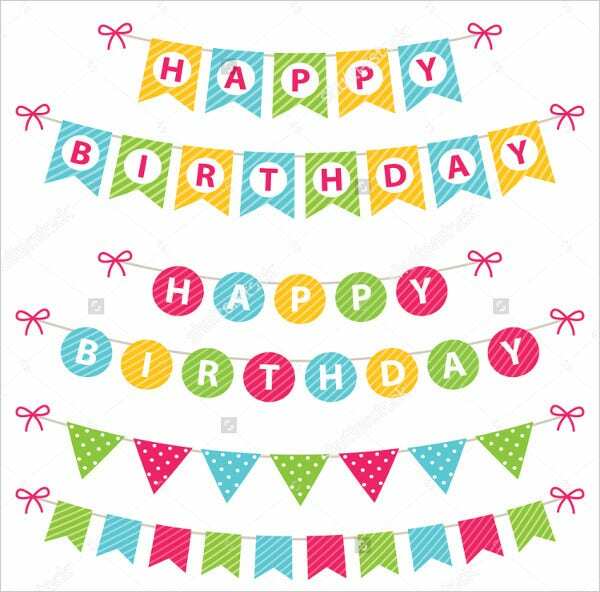 You can also use these in the social networking platforms so that your loved ones are informed of your party and they get to it on time. 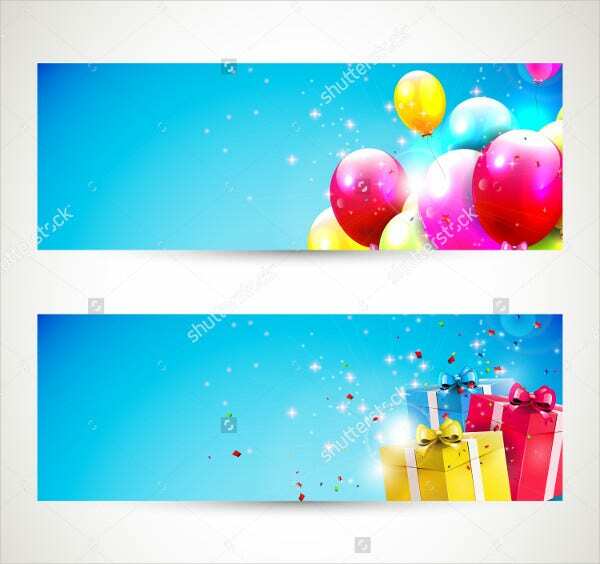 Here is a nice birthday banner template collection. 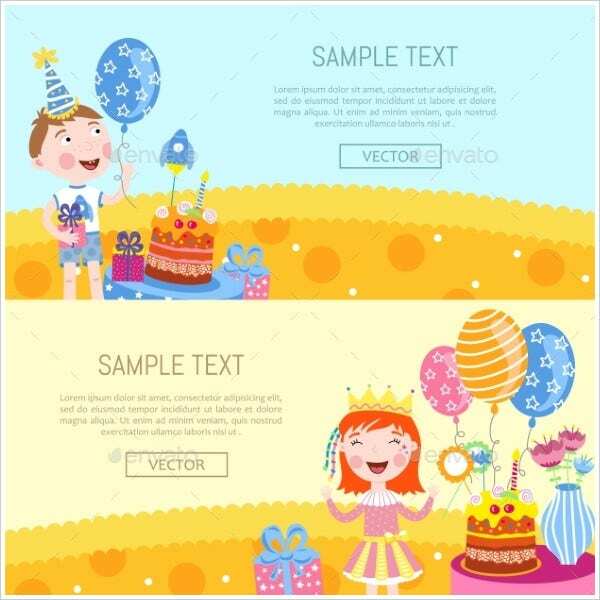 Some of these can also be used as event Banner Templates for promoting other events. Here is a collection of 9 horizontal banners, 25 school object icons, 18 stickers, and 10 seamless patterns. All the objects are in organized layers. The cost is $8. 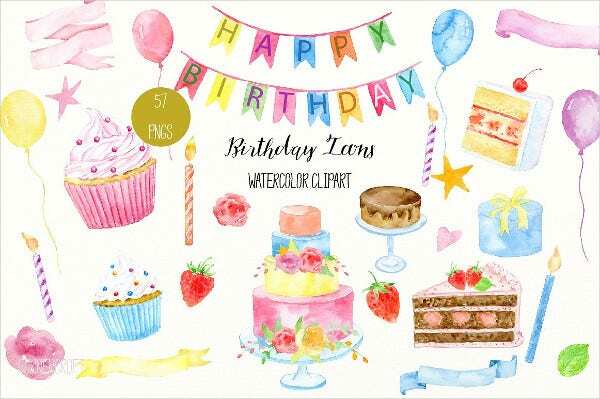 Here is a collection of watercolor Birthday Icons like cupcakes, cakes, banners, balloons, ribbons, floral elements, buntings, and gift boxes. This set costs $8 and it is of 300 dpi resolution. 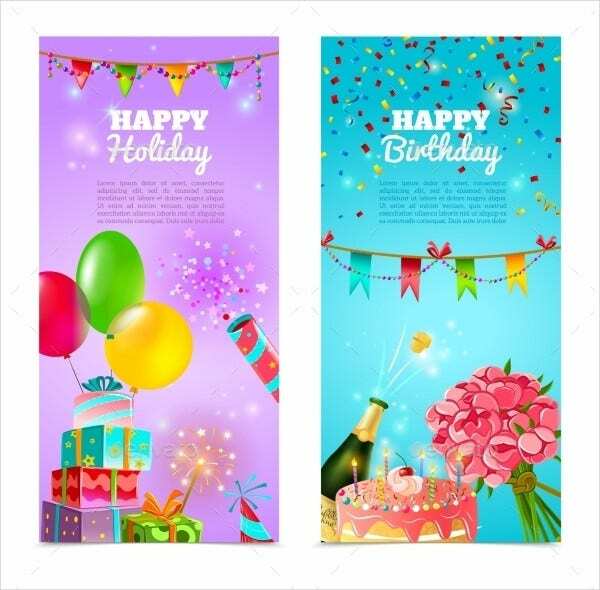 Here are 2 vertical happy Birthday Party Banners. 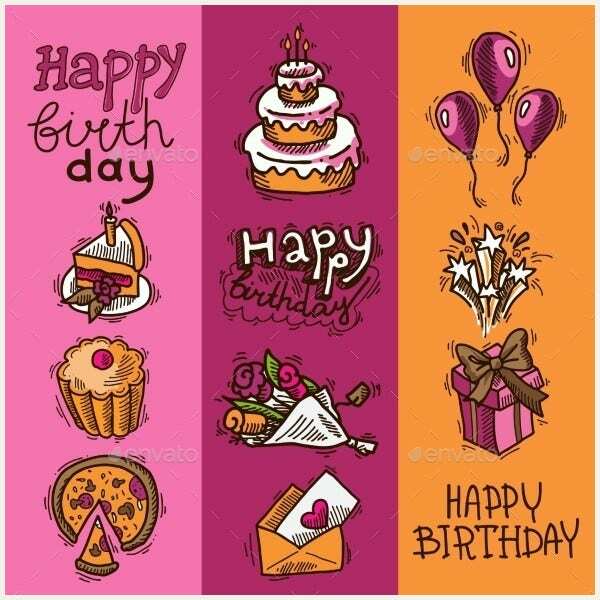 These have abstract vector illustration of champagne and cake. This editable EPS file costs $5. It is also available in JPG format. 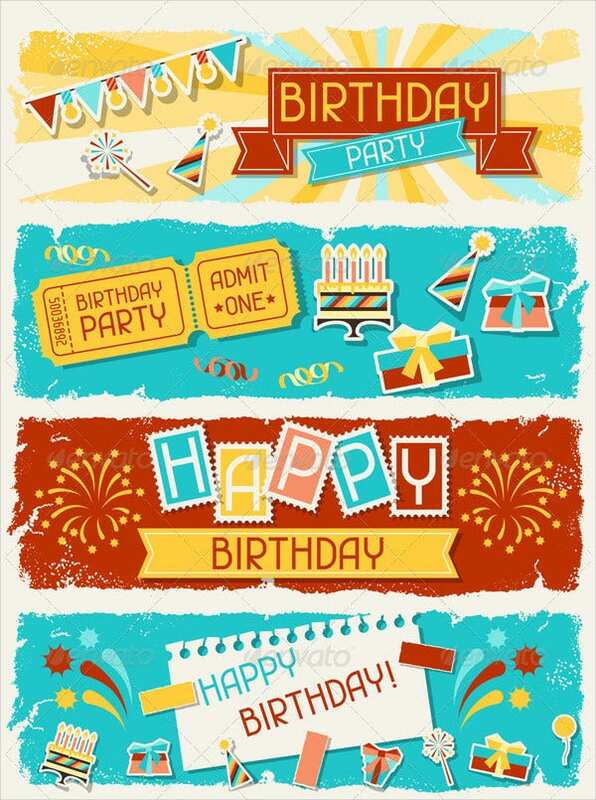 This birthday party banners vector set is available for free download. The high-resolution image of this is also available in different sizes to suit your needs. 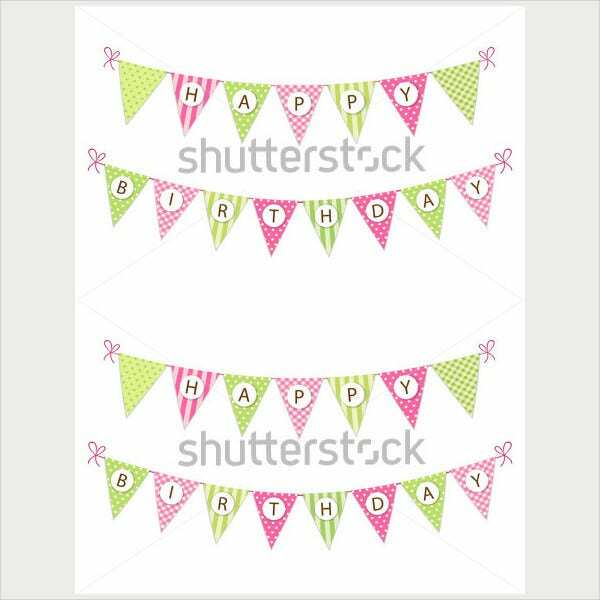 This is a set of hand drawn birthday party or card decoration elements in 2 sizes and 6 colors. These are fully editable and are of 300 dpi resolution. This set costs $12. 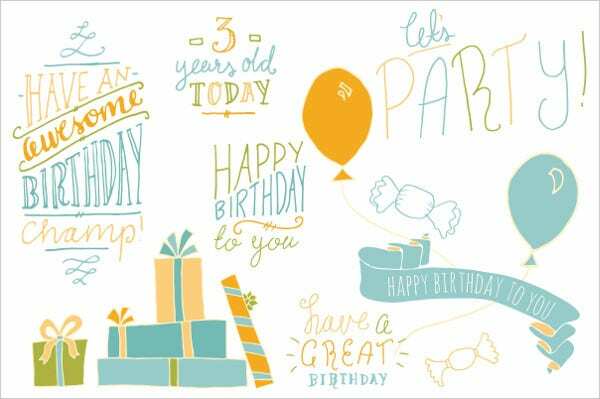 This vector illustration of happy birthday kids’ banner set costs $8. 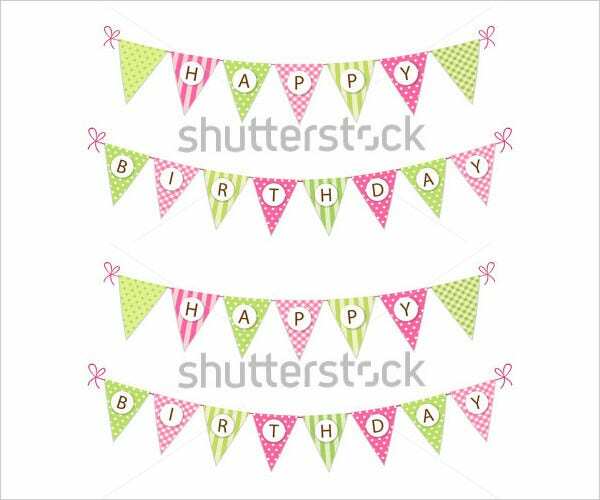 It includes two birthday party banners- one for girls and the other for boys. It comes as JPG image and vector EPS. 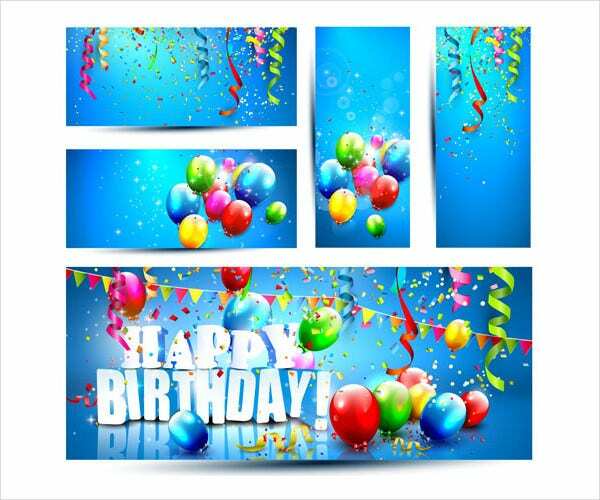 This includes 43 birthday party set images to be used for birthday cards, invitations, web designs, printed materials, scrapbooks, cupcake toppers, graphic designs, paper crafts, etc. It costs $6. 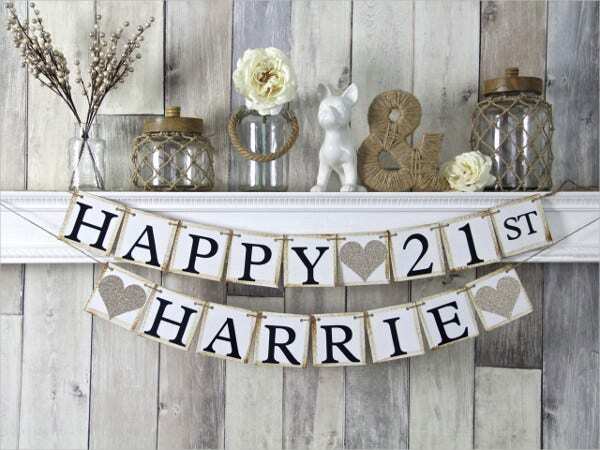 This is for creating a personalized 21st birthday Party Banner. Priced at $24, it comprises of a sturdy white clipboard with brown edges, 4×4” panels, your name, and champagne glitter hearts. 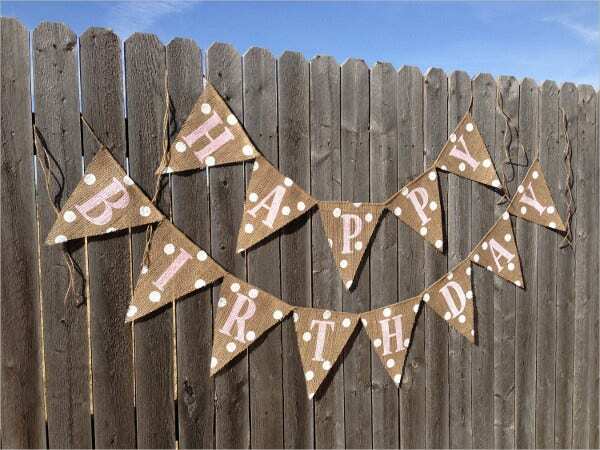 This birthday banner costs $27.50. 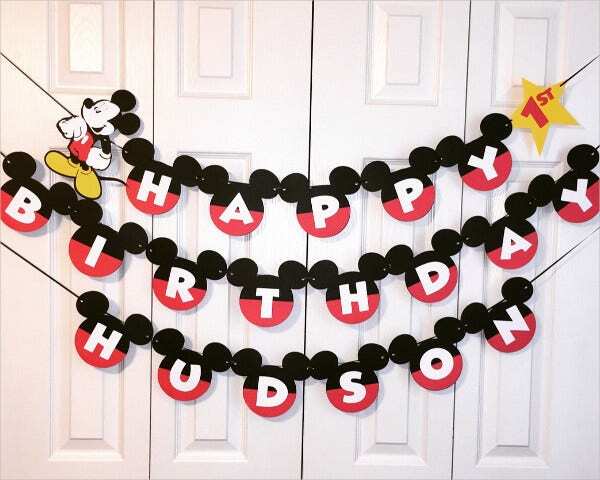 It can be used for Mickey Mouse garland and Mickey Mouse 1st birthday party celebration. The banner will be customized as per users’ requests. 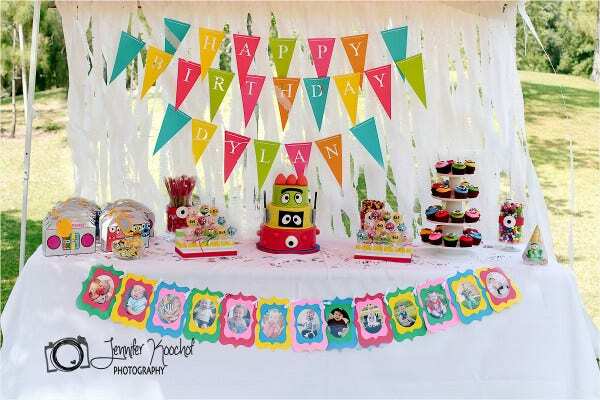 This banner provides for capturing your sweet memories on its background. It has hand-painted pink calligraphy and white polka dots. 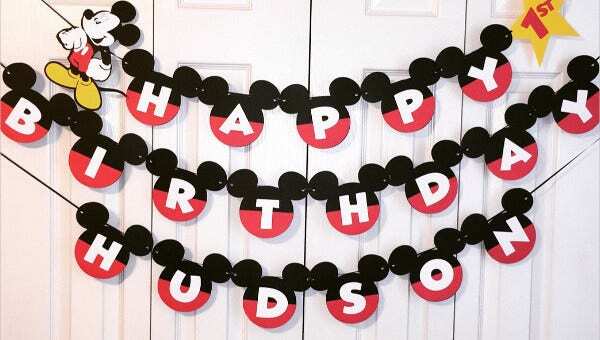 It costs $32 and can be used for girl birthday decorations. 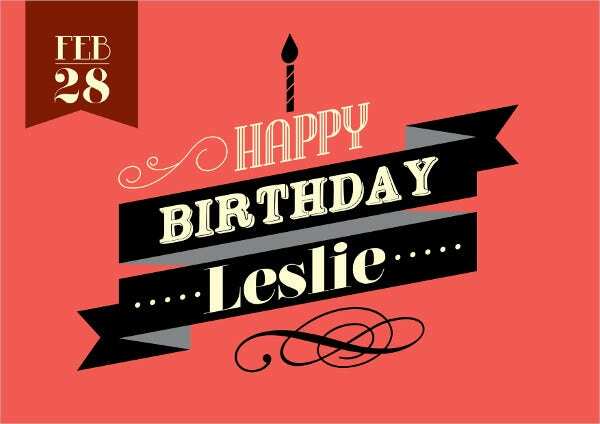 This is a freely downloadable happy birthday banner vector. 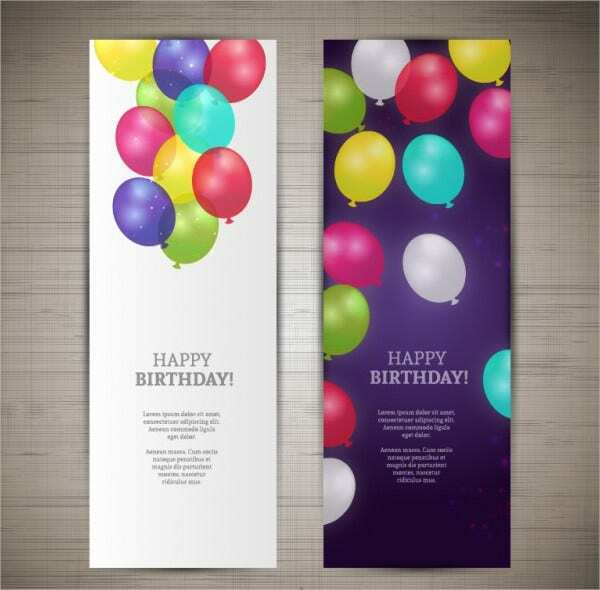 It has two vertical banners with images of colorful balloons. One has a white background and another in violet. This vector is editable. 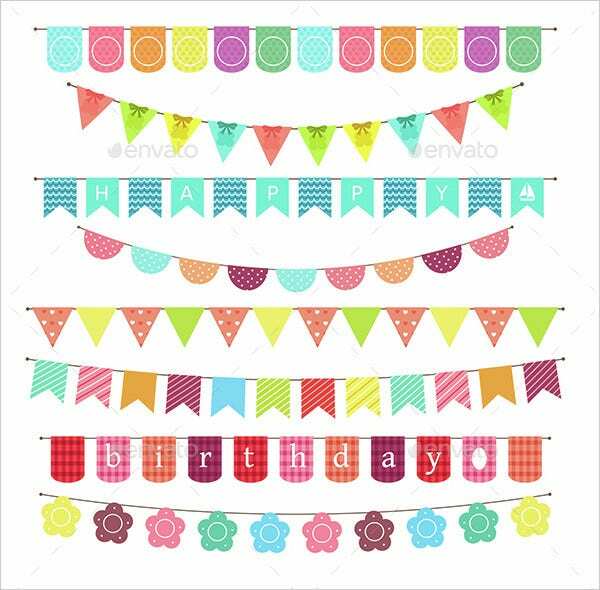 This set contains 4 character flags and happy birthday letter flags. It costs $4.99. You get 2 high-resolution (300 dpi) PDF digital files in a page format of 8.5×11 inches. 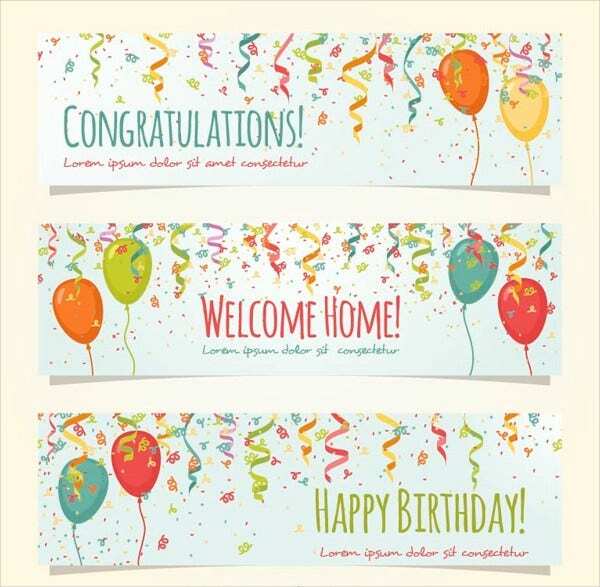 Announce your birthday party in an exciting way using our wonderful collection of birthday party banners. 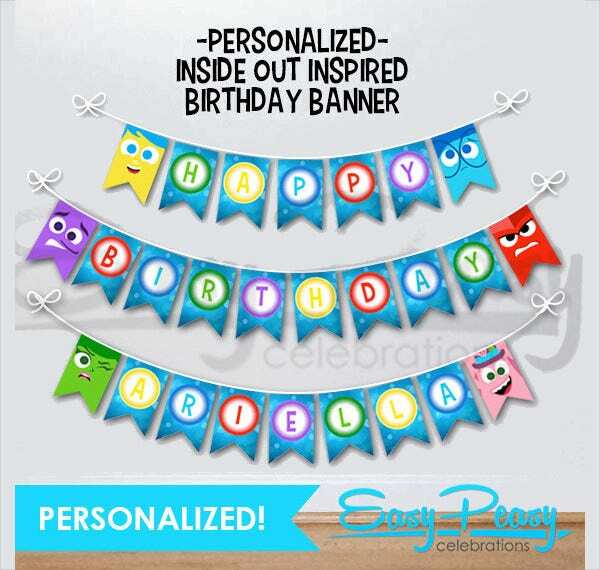 You can customize these with your name, party location, memorable photos, preferred colors, stickers, icons, etc. 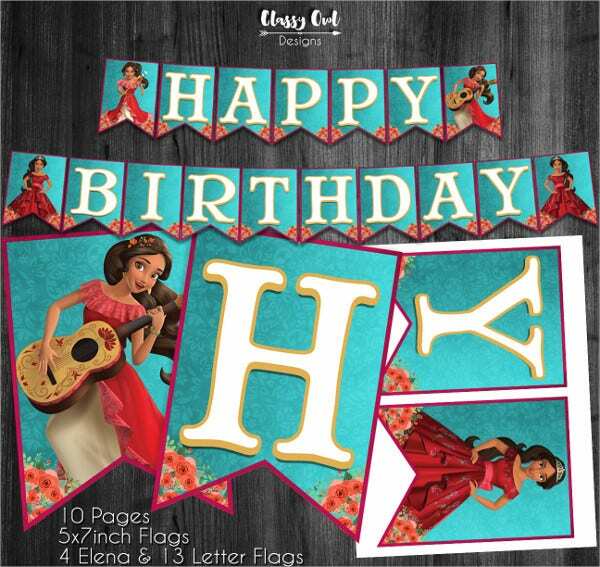 Banner Templates are also great decorative elements to beautify your birthday party venue- be in indoor or outdoor.